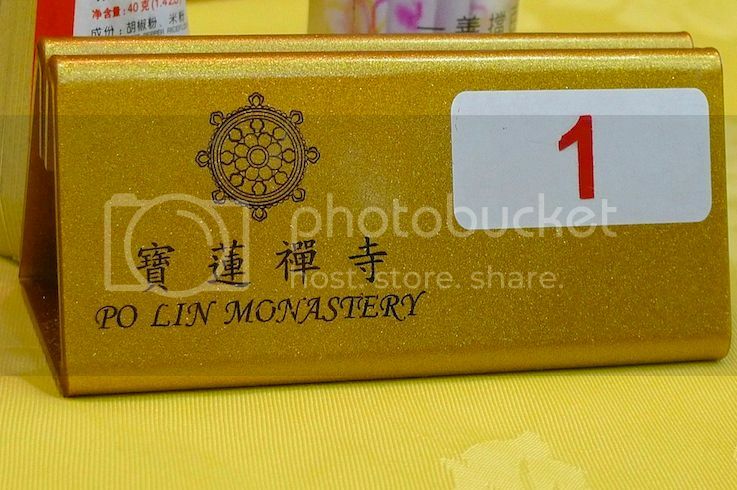 My Very First Blog: Awesome Vegetarian Lunch At Po Lin Monastery! 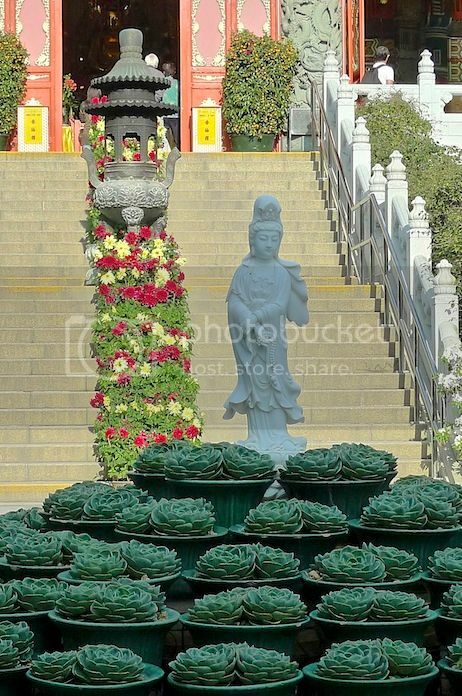 During our trip to the Big Buddha on Lantau Island in Hong Kong, my friend and I had one of the best vegetarian meals ever. The vegetarian lunch we had was at the Vegetarian Kitchen in Po Lin Monastery. Luckily, we did not eat anything at the over-rated Ngong Ping Village on our way to Big Buddha. 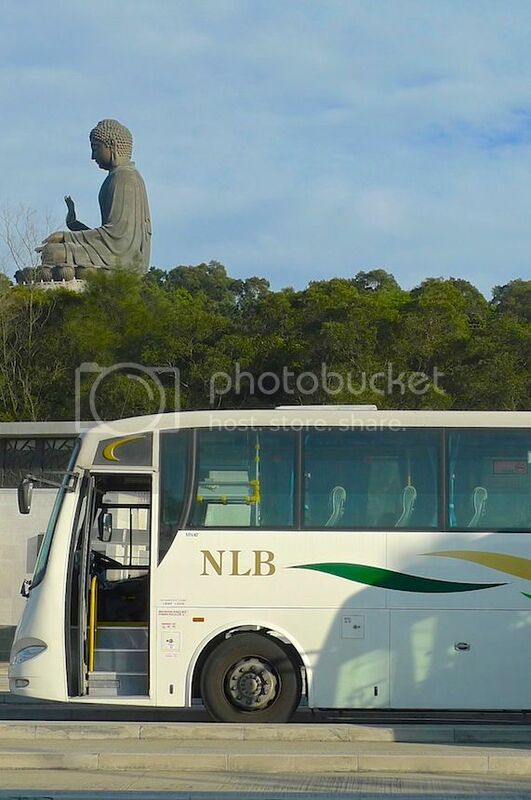 If you ever go to Big Buddha, you will definitely pass by Ngong Ping Village. 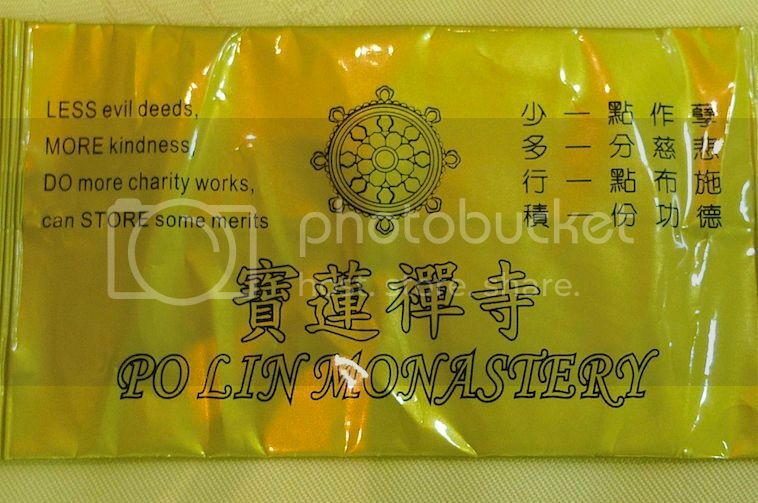 Make sure you don't have your meals there because trust me, you don't want to miss the vegetarian meal at Po Lin Monastery! Before we climbed the stairs to visit the Big Buddha (aka as Tian Tan Buddha), my friend and I had bought the tickets for our vegetarian lunch at the Meal Ticket Office counter. 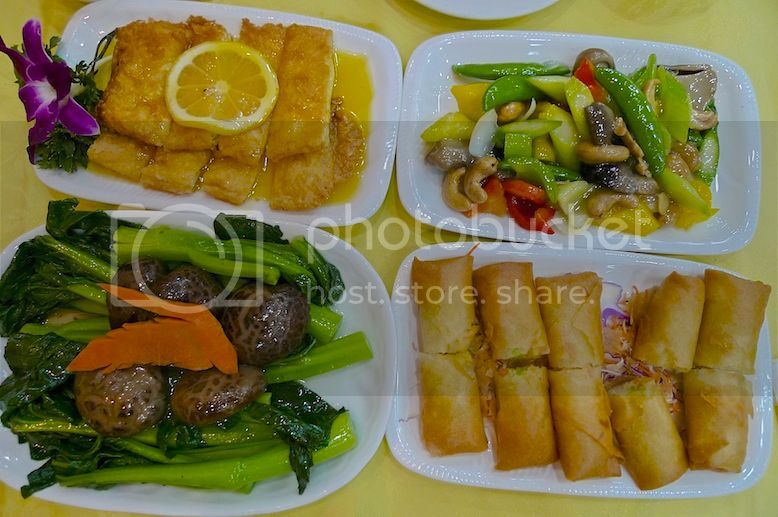 There are two types of vegetarian meals - Regular and Deluxe. 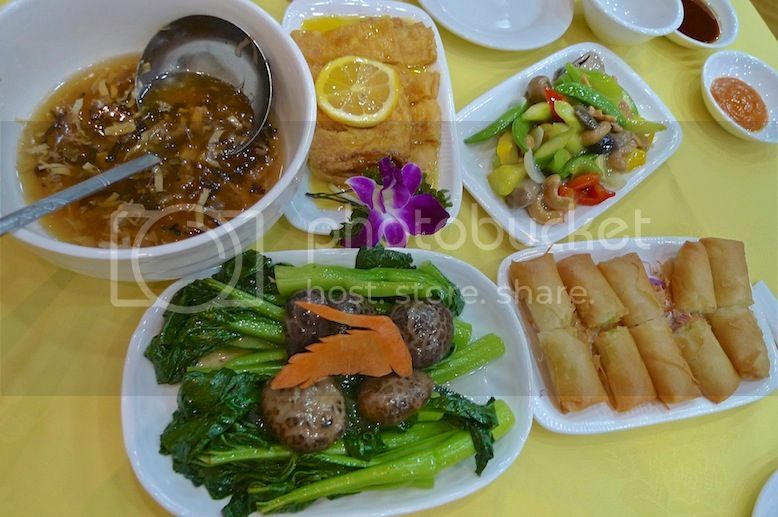 You can purchase ticket for regular vegetarian meal at HK$60 (US$7.70 / RM25.55) per pax or the deluxe vegetarian meal at HK$100 (US$12.90 / RM42.60) per pax. We went for the deluxe meal. 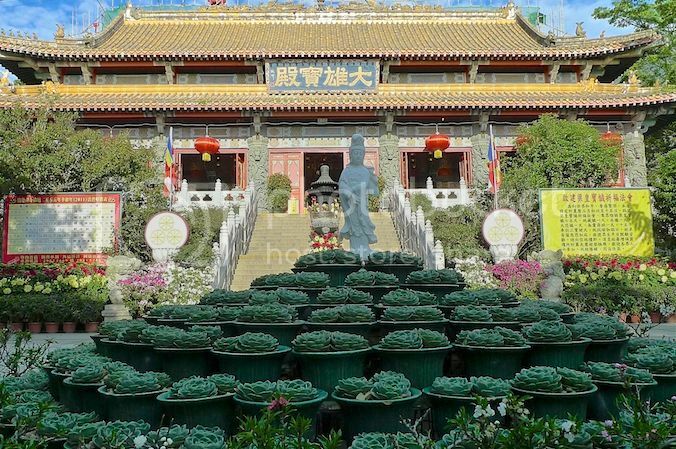 After we were done visiting the Big Buddha, we headed straight to the Vegetarian Kitchen at Po Lin Monastery. This is how the interior looks like. There were 5 dishes altogether with a bowl of rice for each of us. We started off with the mixed mushroom soup. 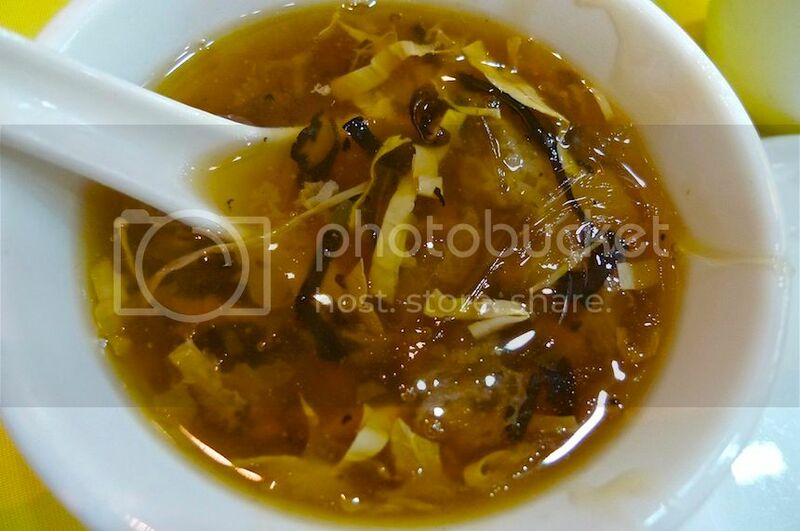 The warm soup contains assorted mushrooms and fungus and also bean curd. It was yummy! Perfect for a cold rainy day. 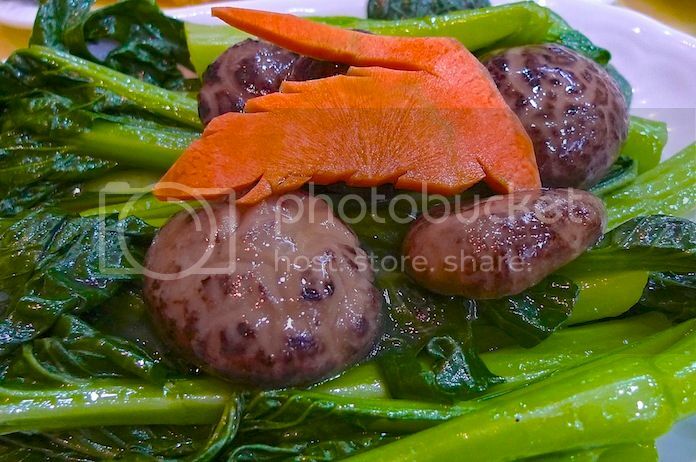 Black mushrooms with vegetables. The green leafy vegetables were absolutely tasty! 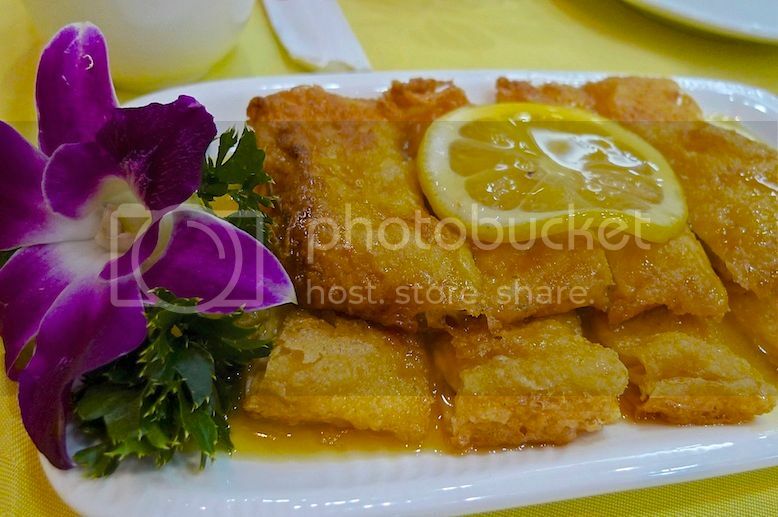 Deep fried bean curd sheet with lemon sauce. This is my favorite! It was so delicious I think it could give the lemon chicken dish that I love to eat a run for its money! 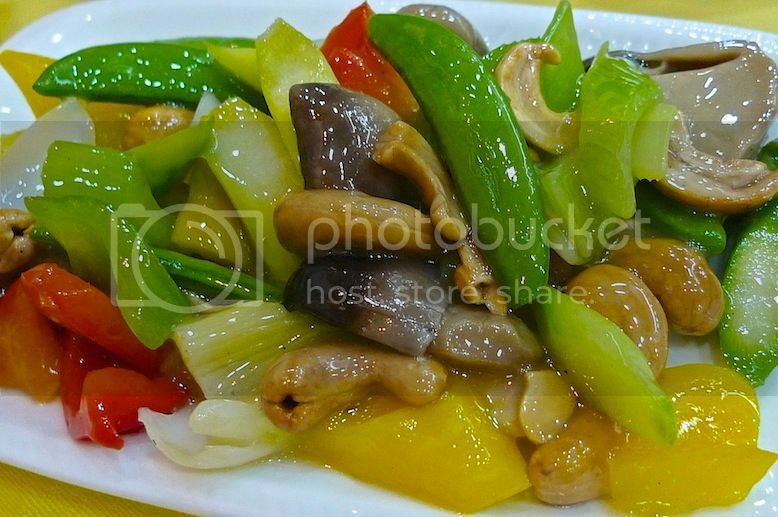 Mixed vegetables dish. This contains asparagus, celery, mushrooms, peas, capsicum and cashew nuts. A really nice mix and oh, so yummy! 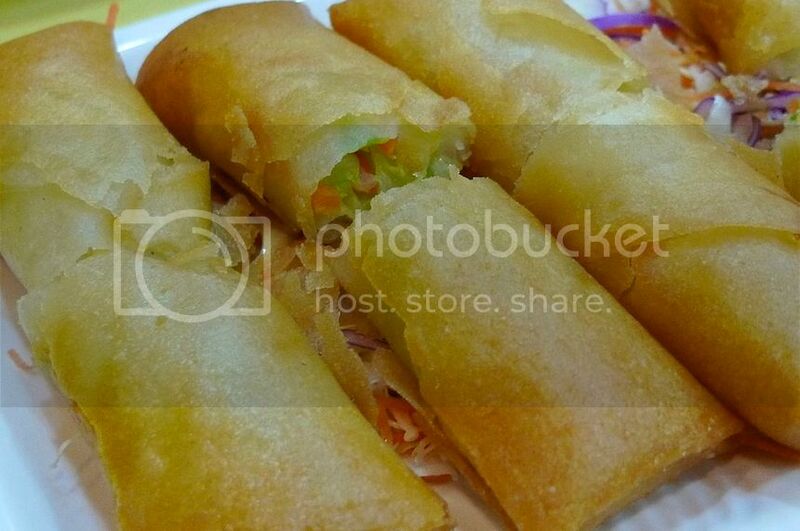 Lastly, the deep fried vegetarian spring roll. There was nothing really special with the fillings but the spring rolls were crispy and light, and not too oily which were really satisfying for me! 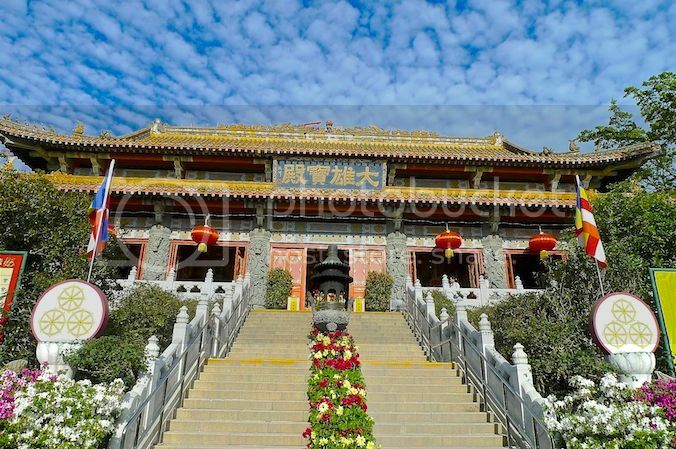 Overall, the vegetarian lunch at Po Lin Monastery was excellent. I give it full marks! And just so you know, I seldom rate vegetarian restaurants very highly. The food here was clean, flavorful, aromatic and simply delicious! The ambience was pretty good, although there were not many people dining at that time. 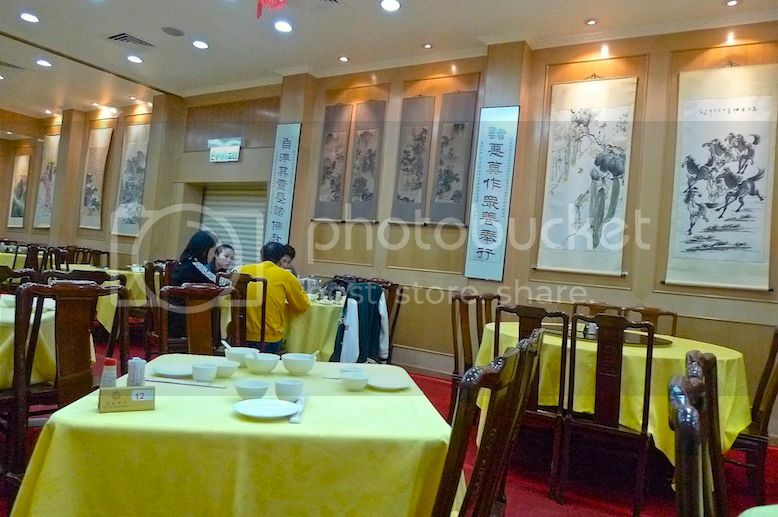 Perhaps most people prefer to choose the cheaper HK$60 regular meal? 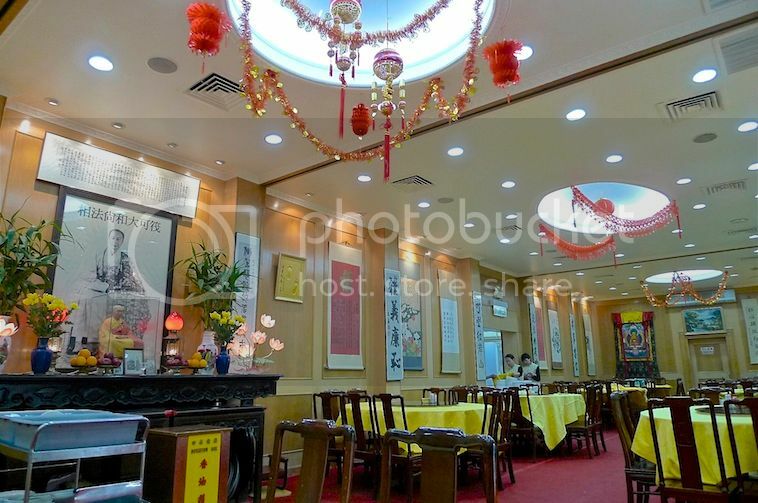 Those who choose the cheaper meal dine at an open air seating area outside probably with different sets of dishes. Below is another shot of the dishes we ate. My friend had re-arranged the dishes and asked me to take another photo. LOL! After the satisfying lunch, we walked over to the Vegetarian Desserts and Snacks Counter (sorry forgot to take picture!) There were many choices of vegetarian dumplings and cakes but for some unknown reasons, we did not buy anything there. 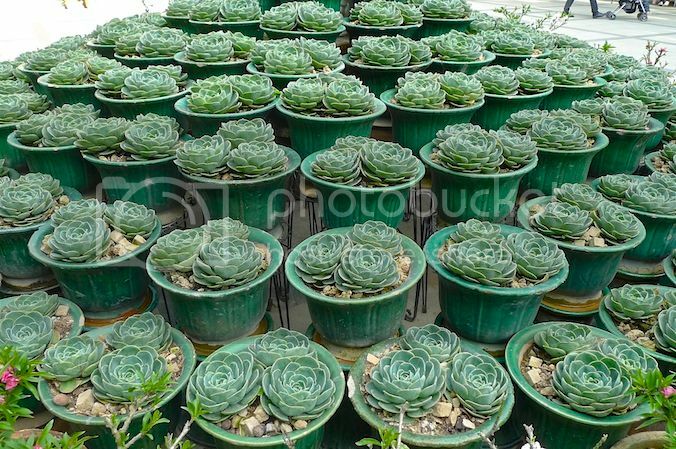 Oh well, I will definitely buy some if I were to re-visit this place in future. We also walked over to the Main Shrine Hall but stopped short of entering it. Some of the photos I took around the shrine. Soon it was time to leave Po Lin Monastery. There were more photo taking opportunities. 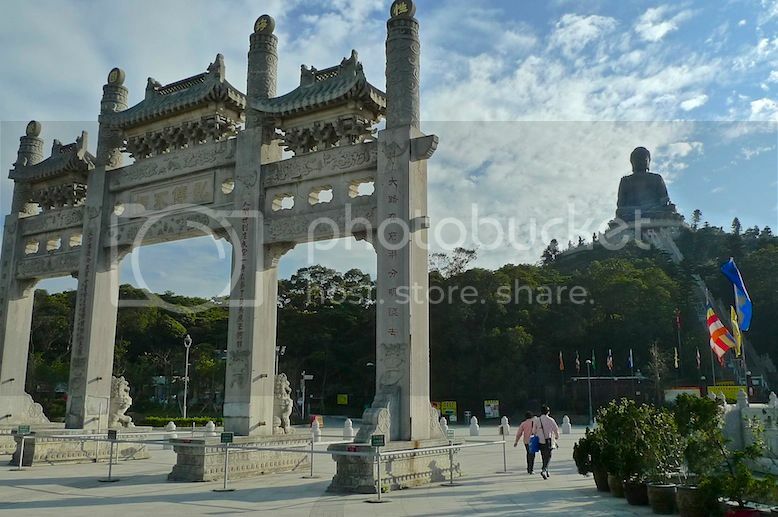 Here's a photo of the monastery's arch gate and the Big Buddha up on the hill. 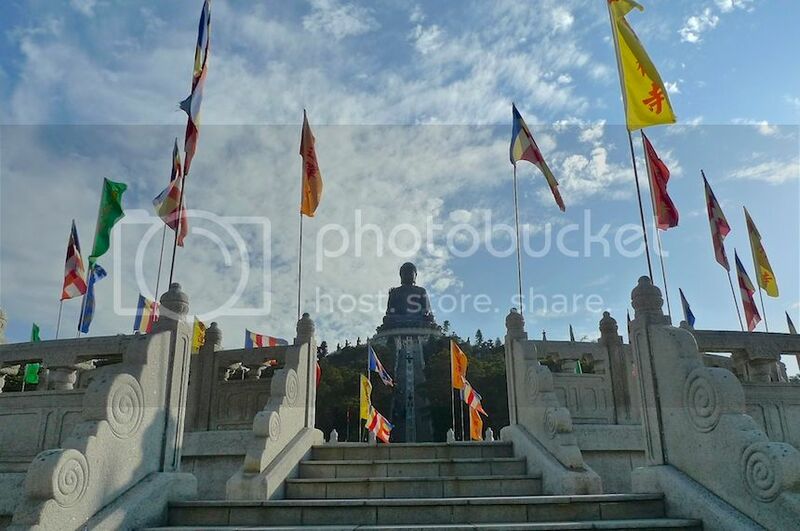 The flags area with Big Buddha in the distance. 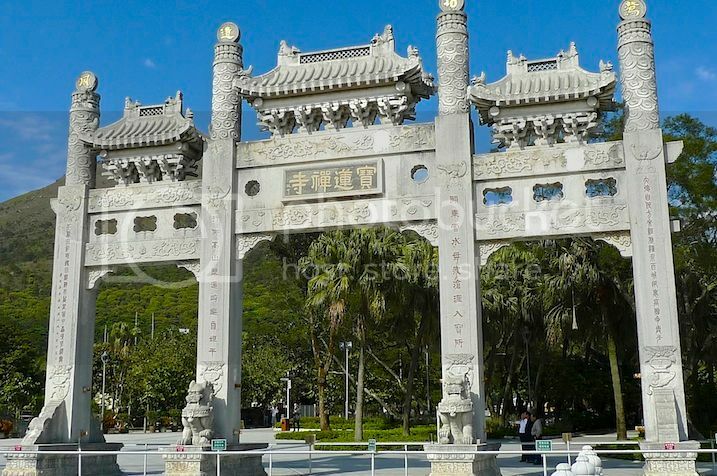 The main arch gate that separates Ngong Ping Village and Big Buddha/Po Lin Monastery area. 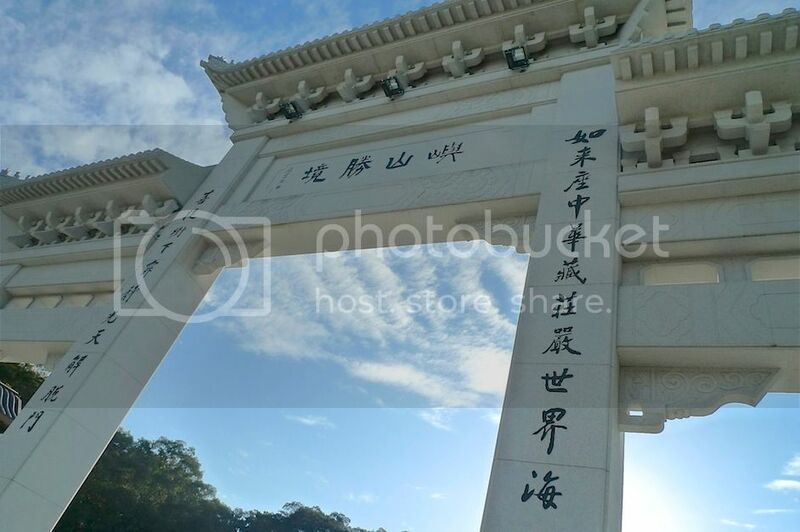 We had earlier came to Ngong Ping from Tung Chung via the cable car ride across the picturesque Tung Chung Bay and Lantau Island's verdant hills. But for our return journey, we decided to take the bus instead. Our bus tickets. OK, some of you might be surprised at the date, so yes, this trip was 2 years ago and I only managed to blog about it now. Hahaha!! 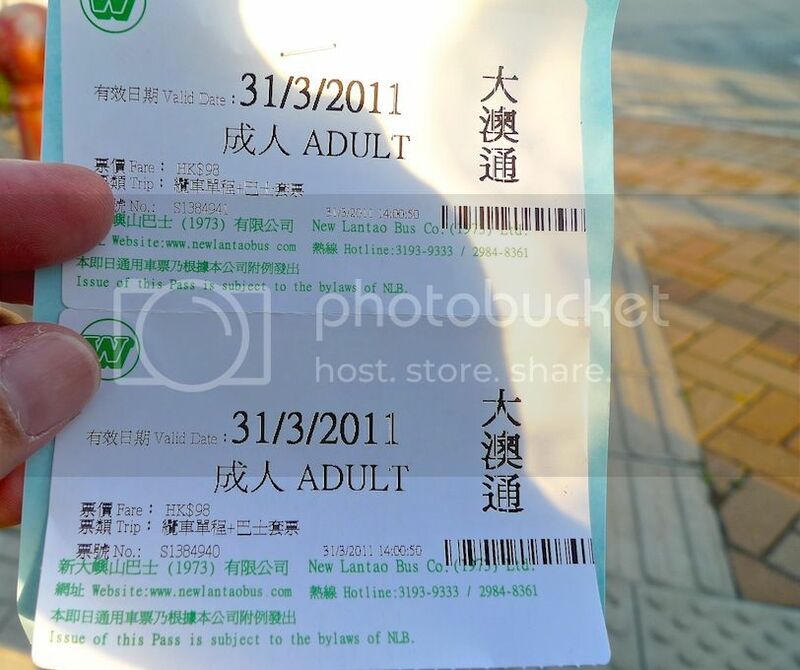 We took the New Lantau Bus (NLB) back to Tung Chung where we did some shopping at the Citygate Outlets before rushing off to catch the Symphony Of Lights at Victoria Harbour. I would say that compared to the cable car ride, the bus ride was pretty boring. Nothing much to see throughout the roughly 45 minutes journey. If I were to visit Big Buddha again, I will just take the cable car ride.